61 Are You That Somebody? The Best Girl Power Album... Ever! Aaliyah Dana Haughton (January 16, 1979 – August 25, 2001), who performed under the mononym Aaliyah, was an American recording artist, actress and model. She was born in Brooklyn, New York, and was raised in Detroit, Michigan. At an early age, she appeared on Star Search and performed in concert alongside Gladys Knight. 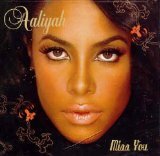 At age 12, Aaliyah was signed to Jive Records and Blackground Records by her uncle, Barry Hankerson. He introduced her to R. Kelly, who became her mentor, as well as lead songwriter and producer of her debut album. 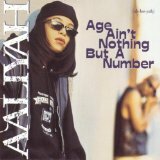 Age Ain't Nothing But a Number sold two million copies in the United States and was certified double Platinum by the Recording Industry Association of America (RIAA). After facing allegations of an illegal marriage with Kelly, Aaliyah ended her contract with Jive and signed to Atlantic Records. 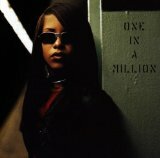 Aaliyah worked with record producers Timbaland and Missy Elliott for her second album, One in a Million, which sold two million copies in the United States and over eight million copies worldwide. In 2000, Aaliyah appeared in her first major film, Romeo Must Die. She also contributed to the film's soundtrack, where "Try Again" was released as a single. The song topped the Billboard Hot 100 solely on radio airplay, making Aaliyah the first artist in Billboard history to achieve this feat. "Try Again" earned Aaliyah a Grammy Award nomination for Best Female R&B Vocalist.